Check out our offers and what you can expect here! Ethiopia is a state in eastern Africa, bordering Eritrea, Sudan, Kenya, Somalia and Djibouti. The capital is Addis Ababa, which is in the center of Ethiopia. With an area of ​​1,127,127 square kilometers, Ethiopia is the tenth largest country in Africa, it is about three times the size of Germany. The capital of Ethiopia can offer its tourists a variety of sights. The Mercato, the largest market square in Africa, is a transshipment center For a wide range of products and is frequented by tourists. There are cultural-historical buildings in Addis Ababa For example, the Church of the Holy Trinity, where the tomb of the Emperor Haile Selassie I is located in the crypt. Also the Menelik Mausoleum in the old Baata Church, the crypt for emperors, princes and martyrs and last retirement for Emperor Menelik II To the numerous sights Addis Ababa. The Ghibbi Palace and the Ethnographic Museum complete a successful city visit. 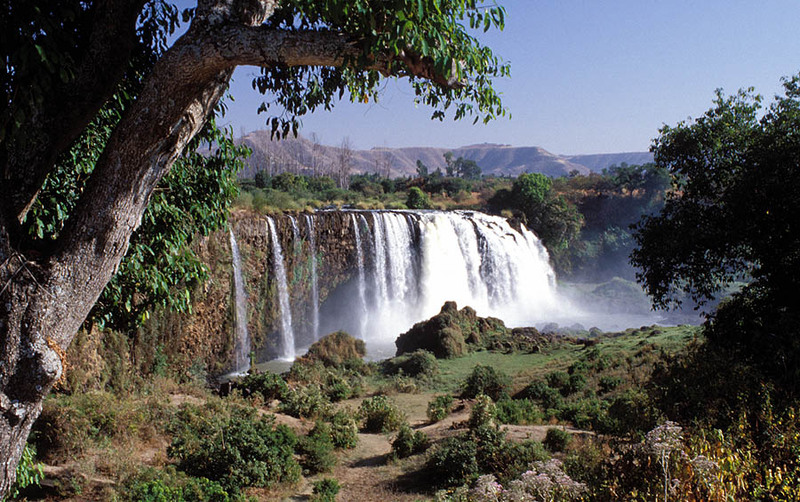 Among the most imposing sights of Ethiopia are the Tiss-Issat waterfalls of the Blue Nile, which is close to the town of Bahir Dar, north of Addis Ababa are located. In addition, the Blue Nile, the Lake of Tana, invites you to explore several times. In the city itself are numerous sacred buildings, such as the monastery Ura Kidane More. In this Ethiopian city, a dozen churches, carved in stone in the 11th and 12th centuries, and the cave monastery "Asheton Mariam" visit and leave a lasting impression with tourists. Have we piqued your interest? Then have a look at our offers or contact us directly.